When I heard that Rob Rains had a book coming out that, included in the subtitle, was the phrase “the building of baseball’s best franchise,” I immediately wondered how that was going to compare with Howard Megdal’s The Cardinals Way. After all, both seemed to be approaching the idea of how the Cardinals had been so successful over the past 20 years. We’ve taken a look at Megdal’s book in the past and Mr. Rains was kind enough to send along a copy of his book Taking Flight, which let me compare the two. It wasn’t long to see that my initial thoughts on this were a bit off track. In retrospect, it’s not surprising that the books diverge fairly significantly. Megdal was an outsider, coming at this from a more analytical approach, looking at the systems, at the interactions of folks, things like that. Rains, of course, is well embedded in the organization, having written a myriad of books relating to the Cardinals and the Cardinal players over his career and still covering them at STL Sports Page. His son, B.J., was a writer at FOX Sports Midwest before moving on to Idaho to write for a paper up there. Rains has the perspective of someone that knows the history of the club because he’s been around for a lot of it. Instead of covering the front office, covering the history of the past twenty years, things of that nature, Rains tackles “The Cardinal Way” by talking with those that deal with it on a regular basis. While some of his subjects are the same as Megdal’s–John Mozeliak and some of the coaches in the organization–mainly Rains talks with a lot of the minor leaguers that are in the system or major leaguers such as Mitch Harris and Aledmys Diaz that have come through it. Many of them talk about what The Cardinal Way means to them and how the organization approaches training them up. 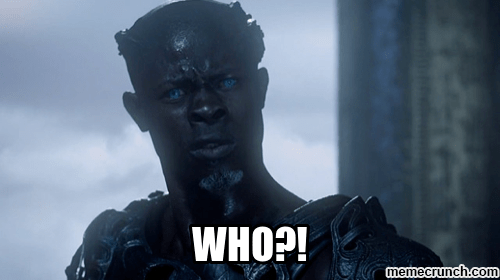 In 10 years, you wonder if that won’t be the response to Blake McKnight or Oscar Mercado. Which doesn’t diminish what Rains has put down, don’t get me wrong. I think the stories of players can be entertaining and informative even when you don’t have a memory of them actually playing ball. Rains approaches this book in a similar fashion as he did his last outing, Intentional Walk. Each chapter is an interview and discussion about a certain player or coach (or, in the case of Mozeliak, the GM), their history and how they’ve come to be where they are today. There’s a lot of good stuff in here, as our friend Joe Schwarz indicated in his review over at Viva El Birdos. As Joe alluded to his remarks, the comments by Rowen Wick were a jarring note to the symphony of “whatever the team wants” “just have to work hard” moments that we are used to and, indeed, are the majority of this work. The comments are honestly such that you wonder if the attitude behind them could keep Wick from reaching the majors as a Redbird, though he’s going to have to show a lot more in the minors before that even factors into the conversation. 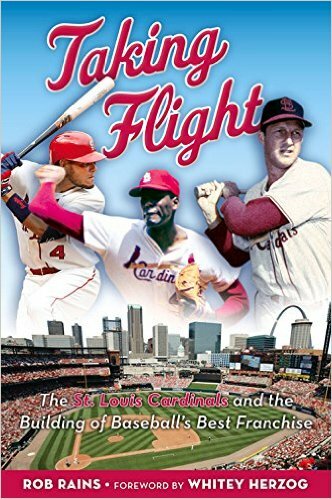 I believe most Cardinal fans will enjoy this book, though if you are more focused on the folks on the major league field, the emphasis on the minor leaguers may be less in your wheelhouse. I also had some stylistic quibbles with the book–Rains writes a number of one-sentence paragraphs and I found the chapter transitions a little clunky and unnecessary–but that is likely just because it runs a bit counter to my personal writing style. It’s not something that I think many folks would notice nor did it keep me from enjoying the book as a whole. If you are interested, Rains will be at the following locations in the St. Louis area over the coming months doing book signings. Head out, get you a copy of the book, and have it autographed! Saturday April 30 – Barnes & Noble Springfield, Mo. 10:30 a.m. Carson Kelly is also scheduled to appear, so you can get a two-for-one signing there! Saturday May 14 – Barnes & Noble, Fairview Heights, Ill. 1 p.m.
Monday June 6 – Left Bank Books, St. Louis, Mo. 7 p.m. Even if you aren’t in the St. Louis area, as a Cardinal fan you could do a lot worse than adding Taking Flight to your baseball library!